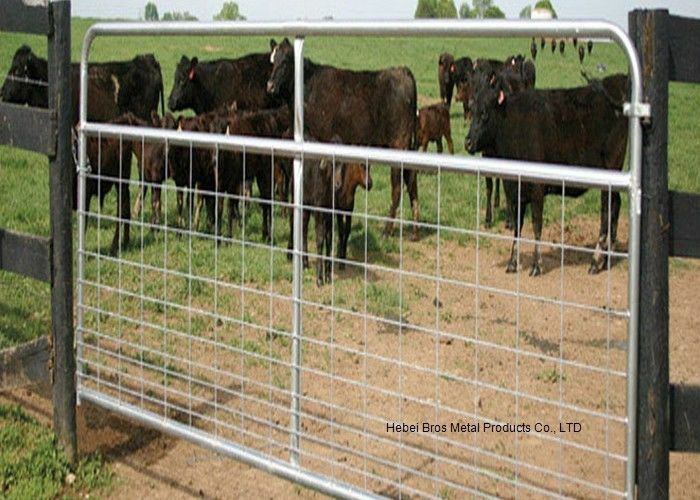 We have been manufacturing galvanized I brace farm gates, N brace farm gates, bar farm gates, farm gate fittings, farm gate packs, and hot dip galvanized farm gates . Our products are sold to Australia, New Zealand, Europe and some other countries. Surface finish:Electric galvanized, hot dipped galvanized, PVC coated or powder coated. Brace type: I stay, N stay or V stay, etc. 2400mm, 3000mm, 3600mm, 4200mm, etc. 8ft, 10ft, 12ft, 14ft, etc. It’s also available to do as per customers’ design and requirement. 1. Portable: easy fast to handle (set up, remove and put down), very flexible. 2. 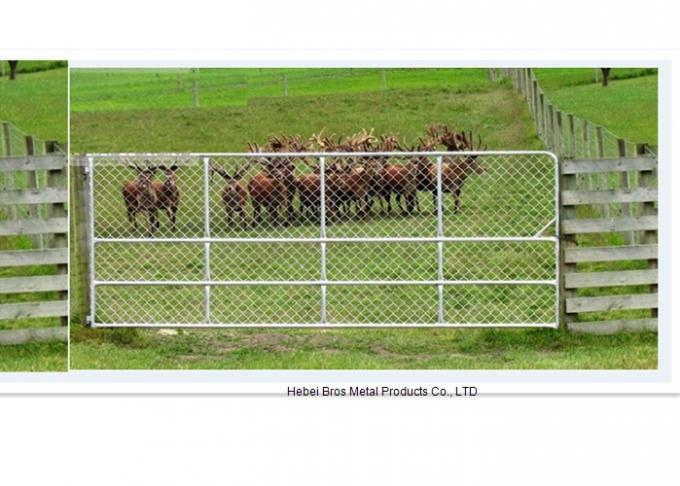 Robust: locking system makes the gate very stable quality steel and fully welding makes the gate panel more stronger, heavy duty and anti-broken. high zinc or pvc coated make the fence durable. 3. Environment protecting: connection with fittings and joining pins. 4. Livestock protection: no sharp edge, very smooth welding spot finished. 5. Cost-effective: give your farm yard years of service and minimal maintenance at a low initial cost. 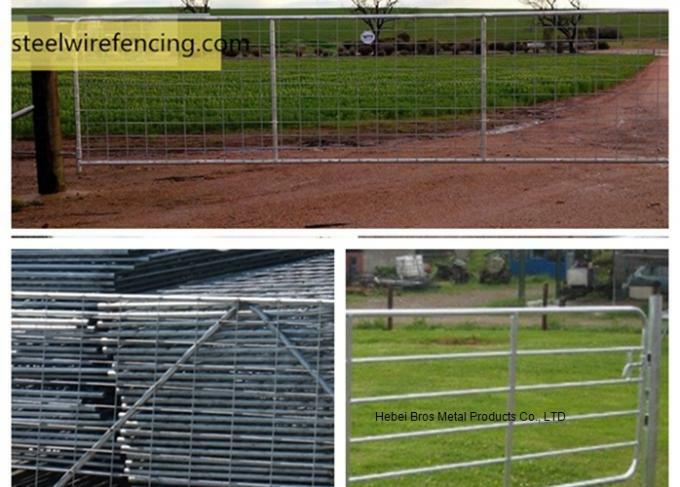 This farm gate is usable for Boundaries,property entrance,dogs,sheep,lamb,goats,cattle,emu,and many more use.